For a quiet week away from it all, an adventure-packed holiday, or an unscripted escape to the backcountry, we invite you to explore all that the J Bar L and the Centennial Valley have to offer. While most of these activities can be accessed from the J Bar L’s Twin Bridges locations, driving times will differ from those listed below. Please see our Area Activities page for Twin Bridges-specific resources. Unpack, relax and make yourself at home. Explore the area on back roads and get a sense of the ranch. We have maps to guide you as you won’t always have cell or GPS service while you travel through the Centennial Valley. Throw some delicious Yellowstone Grassfed Beef ribeyes on the grill for dinner and share a glass of wine while you watch the pronghorns graze the sagebrush. Soak away your worries in one of our outdoor hot tubs. The Anderson house features a private hot tub, while the Brundage cabins and the Smith House share access to the Stibal Barn’s hot tub. Stargaze when the sun finally sets around 9:30 and revel in the vastness of this place. Fall asleep to the quiet, natural murmurs of the valley. Take a morning stroll along the Red Rock River that winds through the ranch. 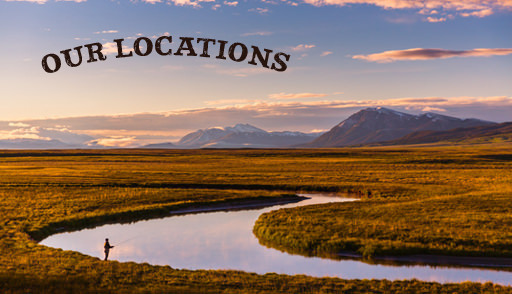 If you arrange it in advance, one of the ranch staff can take you around the ranch and point out where you can expect to see wildlife, bird nests, and perhaps even pick wild berries. We can also arrange for a guided hike or visit with a local birding expert, geologist, or on-site naturalist. Wander the dirt roads and explore the old cemeteries and abandoned homesteads that speckle the landscape. Spend a day at the Red Rock Lakes National Wildlife Refuge and its visitors center. Watch for trumpeter swans, moose, deer, wolves, grizzlies, and more and snap a few photos of the wildlife in action. Hike the numerous nearby trails on U.S. Forest Service land, which are a short walk or drive depending on your ranch property. For those with mountain bikes, ride along sections of the Continental Divide on the Great Divide Mountain Bike Route, as well as numerous other dirt roads. Mountain biking is not allowed on trails in the Red Rock Lakes National Wildlife Refuge. For those with canoes or kayaks, there is plenty of water to explore, including the Red Rock River that meanders through the J Bar L Ranch. The Upper and Lower Red Rock Lakes within the Refuge also allow non-motorized boating, but be sure to check on seasonal or other closures due to nesting and protecting wildlife. Other nearby lakes that offer boating include Hidden Lake and Elk Lake to the East and Lima Reservoir to the West. Cool off with a swim in the nearby Hidden Lake, Elk Lake, or Lima Reservoir. Or just dangle your feet into the Red Rock River on the ranch property. For those who brought their fishing gear, fish for trout on the Upper Red Rock River or venture to the blue ribbon Beaverhead, Big Hole, Madison, or Jefferson Rivers for self-guided fly fishing trips. We’ll be happy to share our secret spots with you. Unwind from the day with a massage from our certified ranch masseuse. If you are interested in scheduling a session, please let us know when you book your stay. Relax at your vacation rental property with a good book, a journal and a pair of binoculars. The properties also come equipped with board games. Experience the best fly fishing the region has to offer on a guided trip to our blue ribbon waters with Anderson Platt Outfitters in Dillon. The guides at Anderson Platt are eager to share the best fishing the region has to offer, and can also connect for you some fantastic private fishing waters to make that fishing experience even more memorable. If you are staying in the Centennial Valley at the Smith House, Anderson House or in the Brundage Cabins, plan on driving about an hour to meet your fly fishing guides. If you are staying at the Twin Bridges Fishing Cabin, plan on driving a half hour. Explore the Centennial on horseback. We recommend booking with Centennial Outfitters, which offers guided horseback rides, hiking and pack trips in the area. Rise early to spend the day at Yellowstone National Park (approximately 2 hours away). Encompassing over 2.2 million acres and host to endless activities, natural wonders, and attractions, there’s plenty to explore in this famed national treasure. Travel to Bannack State Park (approximately 2½ hours away), an abandoned mining town with more than 60 buildings and the site of Montana's first major gold discovery in 1862, as well as Montana’s first territorial capital. On your way back to the ranch, stop by The Peat in Lima and have a Montana backroads restaurant experience. Spend the day in historic Virginia and Nevada City (approximately 2 ½ hours away). Known as “lively” ghosts towns, these remarkably well preserved old Victorian gold mining camps offer you the chance to experience the Old West in full color. Stroll along main street, take the Ghost Walk Tour, watch demonstrations of Western skills, and dine in one of the local restaurants in these quaint Montana towns. Visit Dillon (approximately 2 hours away) and check out the Beaverhead County Museum, local restaurants, and shops, including the Patagonia outlet.